Some clients like to hide away from the world. While the Australian bush provides great opportunities for seclusion, it punctuates the privacy with an annual threat of summer bushfires. The deeper one retreats into our bush the closer one becomes to losing everything. And everything can mean not just your earthly possessions but your life. 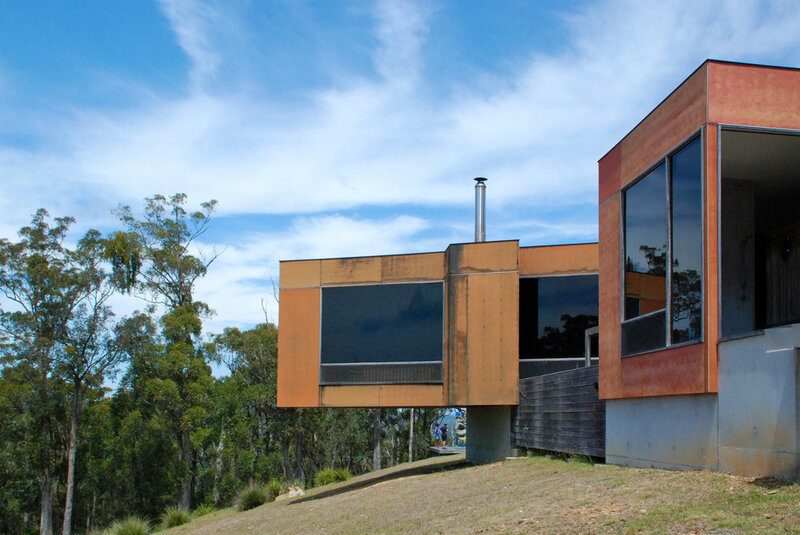 And so Makana was designed and built as a retreat in the bush above the Bega River and as a safe haven should a bushfire take hold. In March 2018 a frightening fire surrounded Makana and then made a beeline for the coast that unfortunately was occupied by the town of Tathra. My clients retreated to safety as all around them houses burnt to the ground. 69 houses were destroyed. Makana miraculously survived the storm. 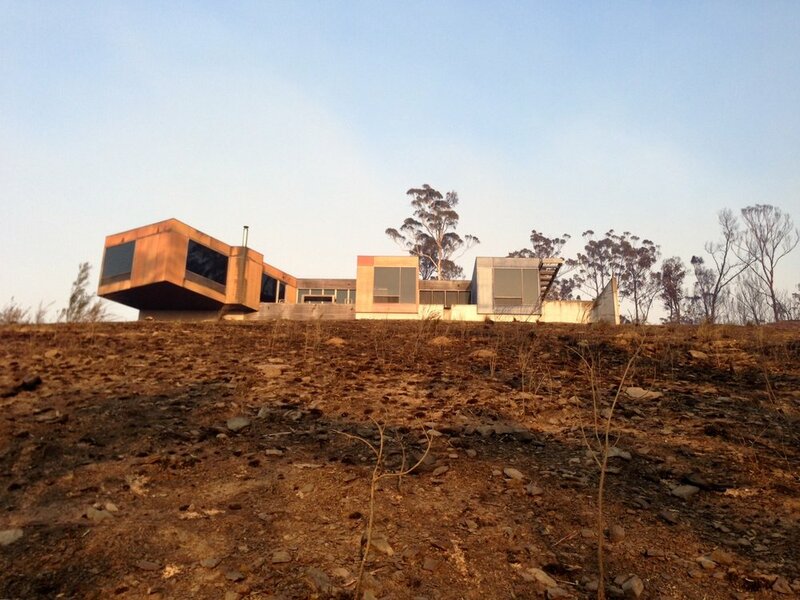 The house design directly responded to a potential catastrophic fire threat from the west. The entire west wall of Makana is a 300mm think cast in situ concrete wall. The house hangs off this wall to the east as three distinct zones, sleeping, washing, living, each separated by a private courtyard. Even though the strict bushfire attack guidelines were adhered too, we’re mindful that there’s a great deal of luck involved in a fickle bushfire’s terms of destruction.